FORT WORTH, Texas (Jan. 30, 2019) – The Davey O’Brien Foundation has announced that the O’Brien Family is recipient of the 2018 Charles Ringler Founder’s Award. 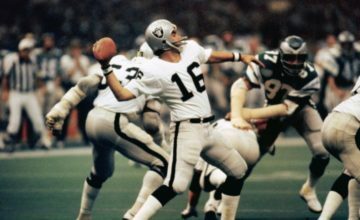 The Foundation will honor the family, whose name has been synonymous with high character and achievement in both the football and Fort Worth communities for the past eight decades. The O’Brien Family began serving the Foundation at its inception in 1977, and has championed the Foundation that bears the family’s name since that time. Through the O’Brien Family’s unwavering efforts, steadfast commitment and strategic vision, the Foundation has grown in national prominence and is well positioned for future success. Being honored with the award will be Davey’s three children, David Jr., Bill and Sally, as well as their spouses and children. 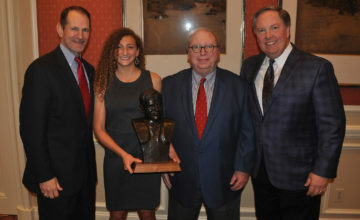 The Charles Ringler Founder’s Award was created to honor the man responsible for establishing the Davey O’Brien Foundation and the original Davey O’Brien Memorial Trophy. The Founder’s Award honors an individual, group or corporation devoted to the Foundation that has exhibited the same passion, pride and perseverance as Ringler himself. 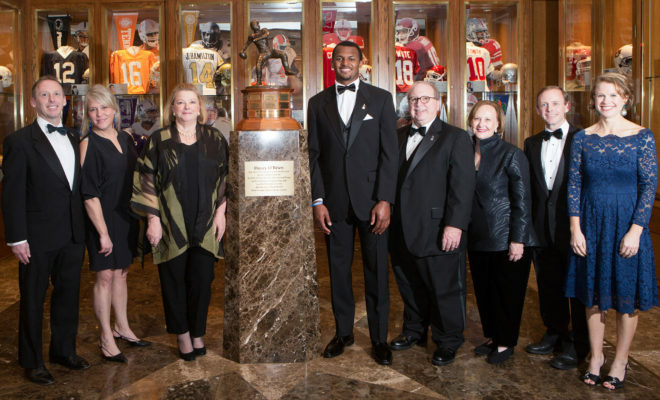 Past recipients include some of college football and the award’s most important figures, including Lamar Hunt, Dr. Bobby Brown, Keith Jackson, Verne Lundquist and Don Looney. 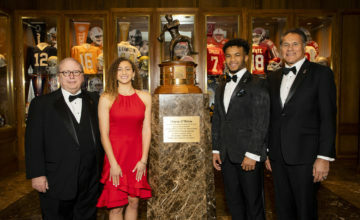 The O’Brien Family will be honored alongside Davey O’Brien National Quarterback Award winner Kyler Murray of Oklahoma and Davey O’Brien High School Scholarship recipient Hannah Mandell of Justin Wakeland High School at the 42nd Annual Davey O’Brien Awards Dinner on Monday, Feb. 18 at The Fort Worth Club.